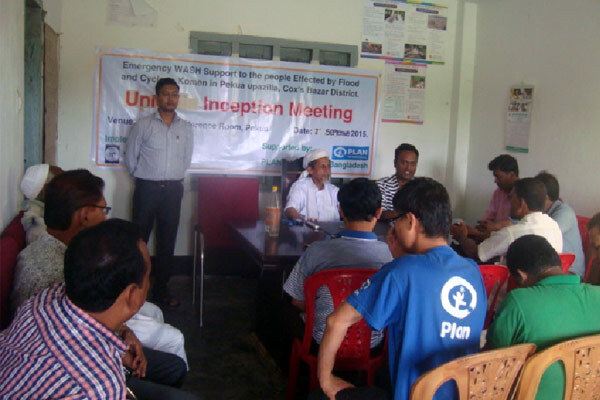 A lot of people were affected by flood and cyclone ‘KOMEN’ in Cox’s Bazaar and Bandarban districts during the month of June’15 to August’15. 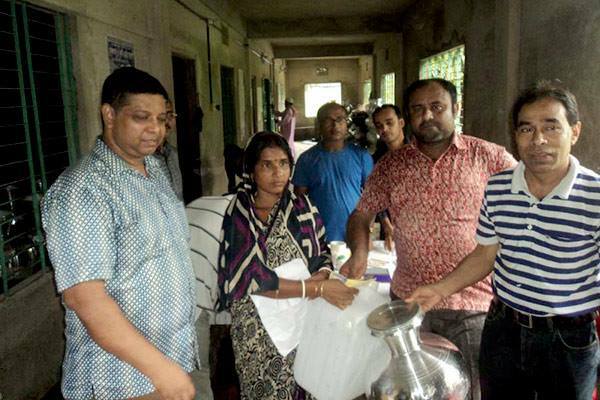 On 23 June 2015 heavy rainfall hit South-East Bangladesh which causes landslides and flooding in 29 Upazilas of 02 districts. 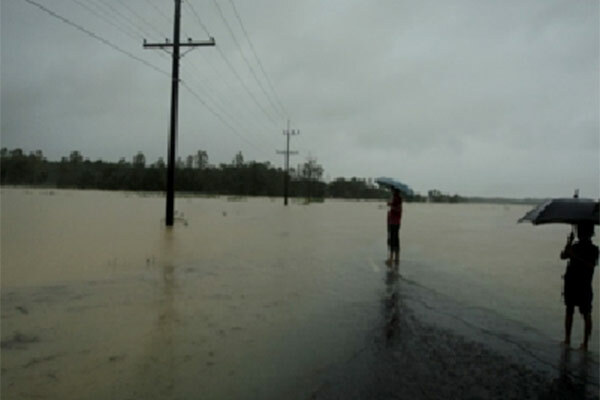 The flash floods were followed by cyclone ‘KOMEN’ causes further damage. 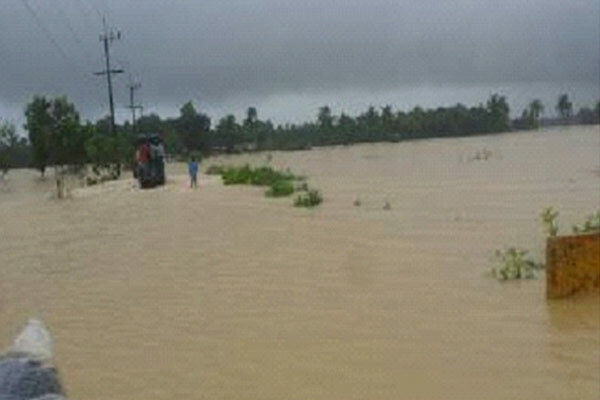 Most of the agricultural lands, livelihood, food security systems and fishing equipments of fisherman in Cox’s Bazaar were damaged by flood. Ten thousands of peoples displaced from their home and land. Peoples had to stay cyclone shelters, embankment and other high level areas for survival. Majority of the people were suffering from food shortages. The most reported problem was having insufficient food. They could not afford safe food and basic commodities and they faced challenges accessing markets and lost their income. 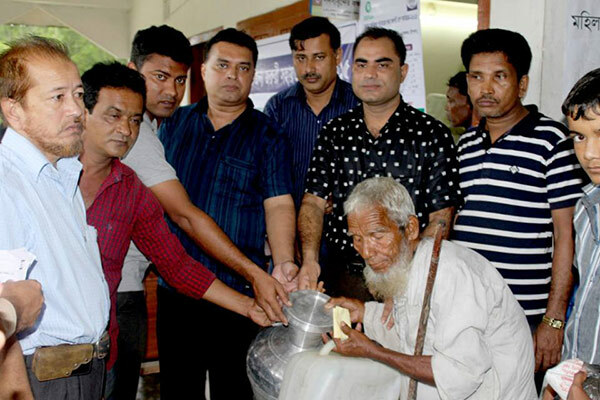 Affected people have lost their livelihood assets. The most vulnerable situation becomes limited opportunities to invest for the upcoming season. 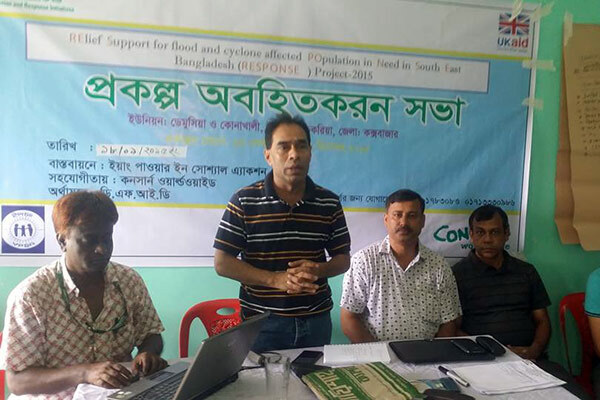 Many affected areas in Ramu, Pekua , Chakaria upazila in Cox’s Bazar and Naikkhonchari upazila of Bandarban district are agricultural land. So, large numbers of affected people are likely to have lost their crops due to submerged their land in the flood water. 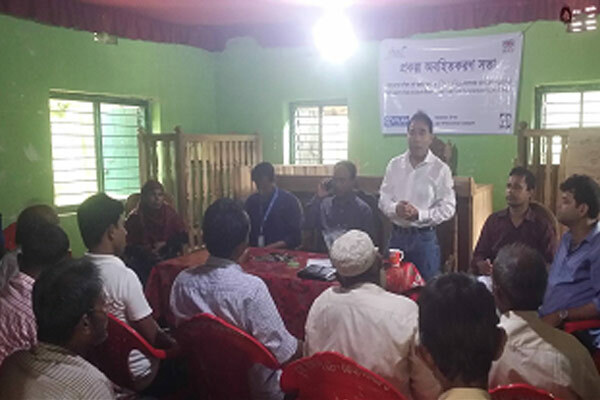 YPSA (Young Power in Social Action) has started implementing a project Under NARRI consortium supported by OXFAM, CONCERN Worldwide and PLAN International in Bangladesh and funded by DFID in the South-East region of the Bangladesh named ‘Relief Support for flood and cyclone affected Population in Need in South-East Bangladesh (RESPONSE)’. South Mithachari and Chakmarkul union of Ramu, Demoshia and Konakhali union of Chakaria, Barabakia and Mognama union of Pekua under Cox’sbazar district and GhumDhum and Sonaichari union of Naikkhanchari upazila under Bandarban district have been selected as cyclone ‘KOMEN’ affected areas on the basis of the declaration of local administration. 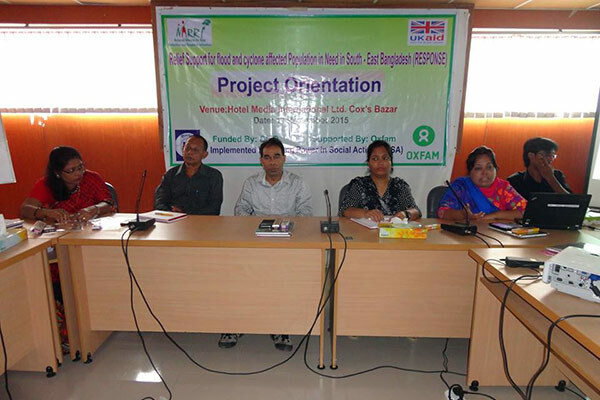 YPSA-OXFAM Response Project at Ramu. Duration: 15th September 2015 to 14th December 2015. YPSA-CONCERN Worldwide RESPONSE Project at Chakaria. YPSA-PLAN International RESPONSE Project at Pekua. YPSA-PLAN International Response Project at Naikkhonchari. 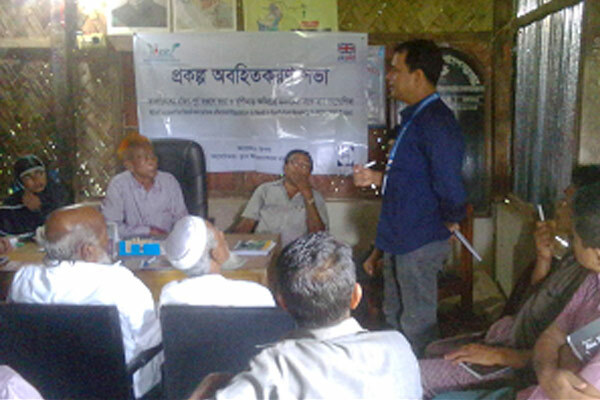 Beneficiaries’ selection through community consultation.